Heartfelt condolences don't have to be stuffy, and this beautiful standing spray conveys your blessings to the bereaved with a fresh take on floral design. 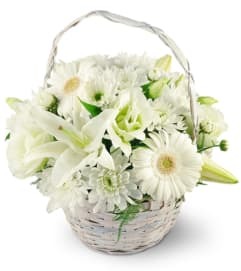 Lovely lilies, peonies, and dahlias combine with seasonal floral stock to beautify any chapel or visitation parlor. 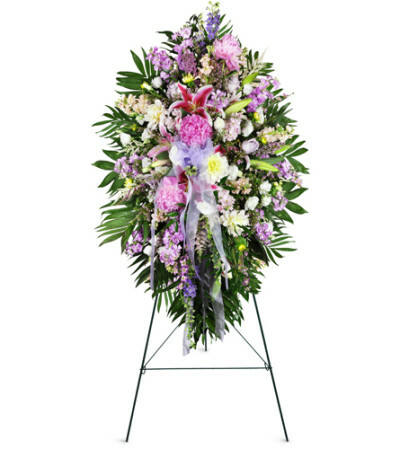 This gorgeous standing sympathy spray combines lilies, peonies, and dahlias in pinks, whites, and yellows with seasonal stock and tasteful greenery. A tasteful bow completes the arrangement. 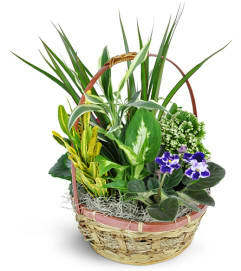 Great, friendly service, beautiful arrangement and ordering online was very convenient! Received an email when my flowers were ready for pick up. 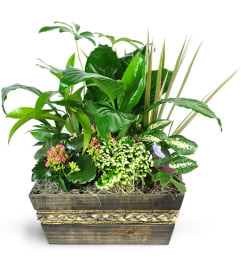 LaPier's Flowers & Gifts did a beautiful job creating a gorgeous planter. They did it overnight & were able to deliver the next day. The customer service was first class even when I ordered from the USA they made sure to call me when I had wrote the wrong number on the recipients address. Highly recommend!